Chalet Rafalt Chalet Rafalt - Page 2 of 9 - A cozy ski chalet in St. Anton, proudly hosted by Ross and Maaike and their 15 years + experience in The Arlberg. It hasn’t been a classic St. Anton winter, but we have had flashes of brilliance that remind us how fantastic the snow can be here. 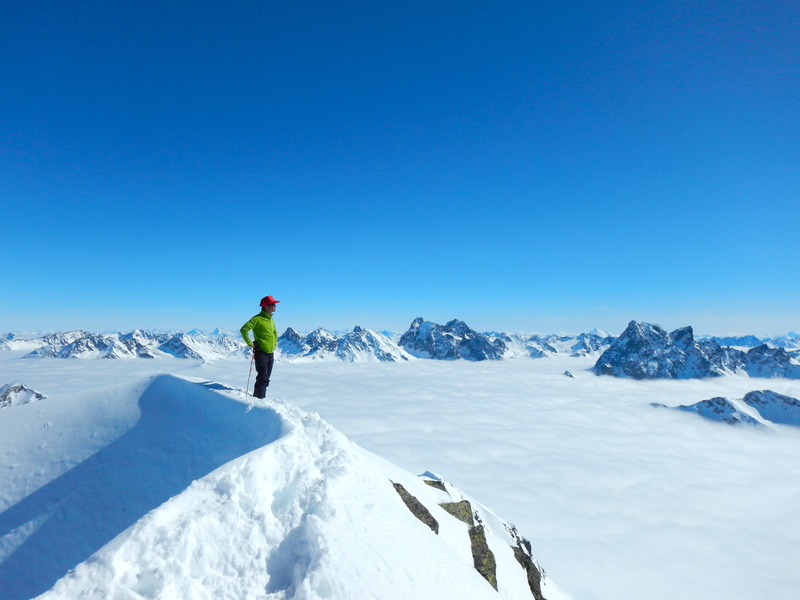 February was rather dry but we enjoyed lots of lovely days enjoying the sun and the sometimes stable snow pack. March has brought a lot of precipitation, and some great days, along with rain in the valley. Without a doubt the most enjoyable parts of the last few weeks has been the extraordinary guests that have stayed with us. 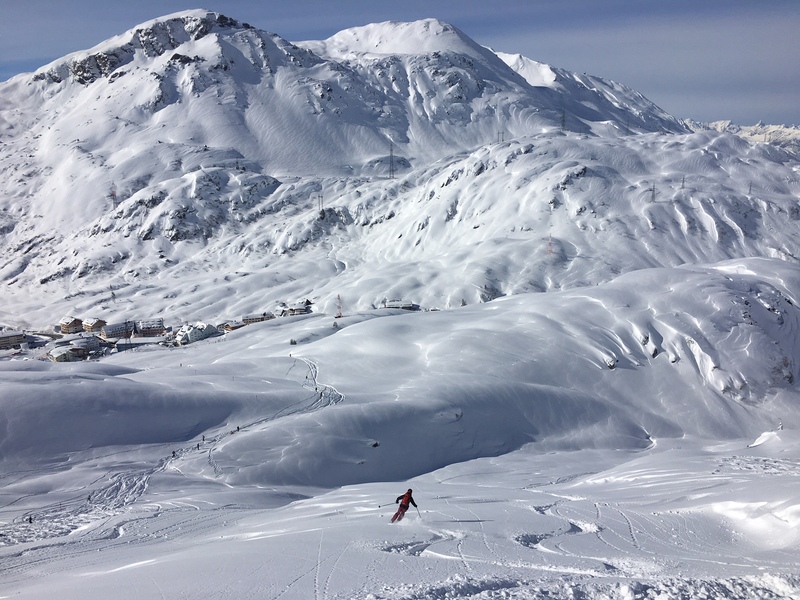 We shared some amazing first tracks down Schoengraben with a few when conditions permitted, but when they did not, we enjoyed all the other fantastic things to do here the Arlberg. Delicious food made by Maaike at the chalet and all the restaurants around the area; apres ski at the Krazy Kanguruh and Mooserwirt; live music at Piccadilly and Happy Valley; and most of all, each others company. 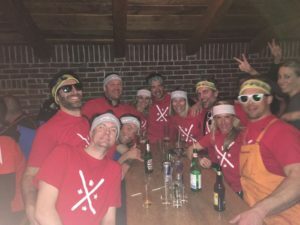 One of our guests toasted “Here is to sore legs from skiing, sore heads from Apres ski, and to sore stomachs from laughing.” I think that about sums it up!! We have felt so fortunate to be able to share this incredible place with so many super people, who really like to take advantage of the setting. We are looking forward to the remainder of the season and the guests who have yet to visit! Ski legend Dan Treadway and his even more legendary wife, Karla in Ober Lech. 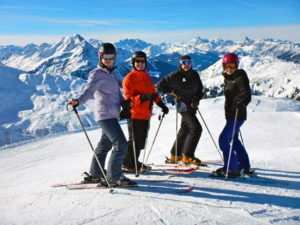 Mark and Jocelyn Johnson and friends at the Hospiz Alm. Johnson and O’Connor families at Skiing Buddah. Check out Paul’s shirt!! 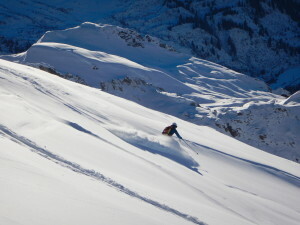 Powder skiing on the way to Stuben. Patience getting a face full of snow in Schoengraben. Team USA/CAN at the Moose. I am happy to report that the last 7 days had brought lots of new snow and some fantastic skiing along with it! The base is starting to build and has reached a metre at Galzig and Valluga. 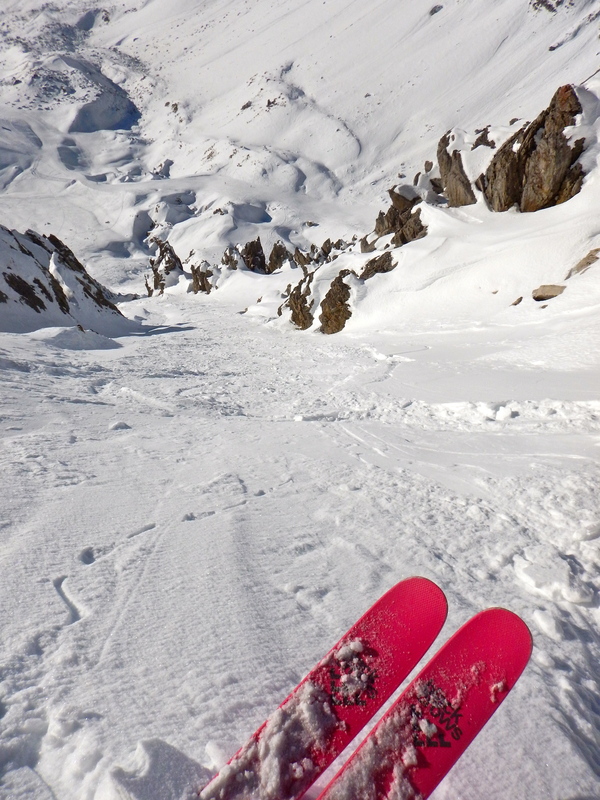 A lot of the off piste terrain is starting to come into shape. Stuben is looking great and Zurs and Lech are now both completely white and looking like mid winter after having such a meager cover of snow though December. 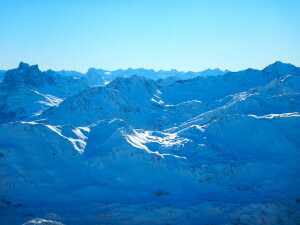 With more snow in the forecast, things are looking great in the Arlberg! 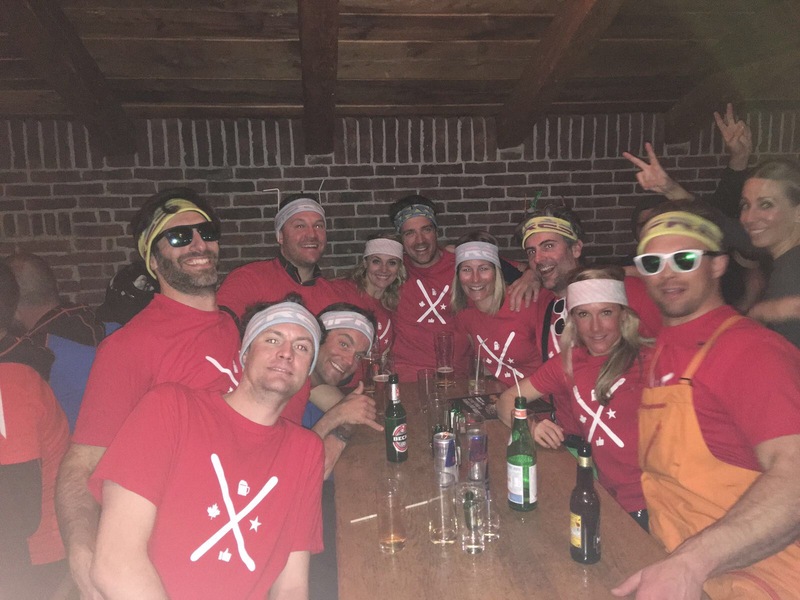 St. Anton ski season 2016/17 is on!! St. Anton’s lift system fired up for the 2016/17 season on December 2nd! It was a gorgeous sunny day and many people were smiling as they made there first turns of the season. There was a variety of runs available to ride with Galzig, Osthang, St. Christoph, Tanzboden, Zammermoos, Schindler, Valfager and the brand new Flexenbahn all open. 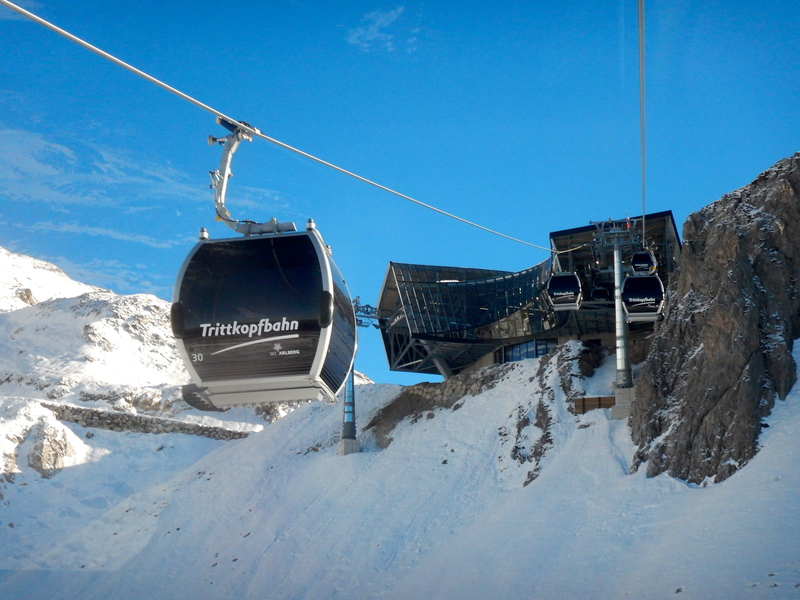 The new Flexenbahn is a 45 million euro project that the lift company completed in a mind blowing 6 months. It links Alpe Raus near Stuben to Zurs by going up and over the shoulder of Trittkopf. It also offers a new way to get to the top of Albona. 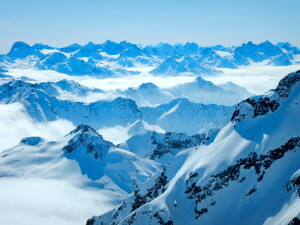 It means that there is no need queue and wait for the old bus to Zurs/Lech and makes the Arlberg the biggest interconnected ski area in Austria. This is very exciting and makes what is a fabulous resort that much better. 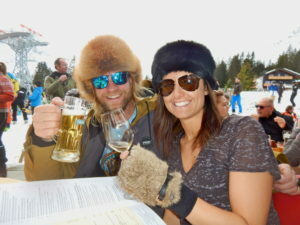 The chalet is wide open until December 15th so please contact me to come and get your ski season started! Schindler Chutes ready for action! 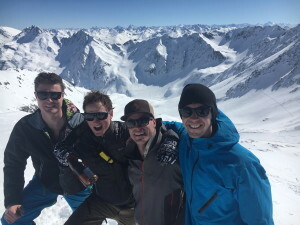 The new Flexenbahn middle station offers instant off piste options! 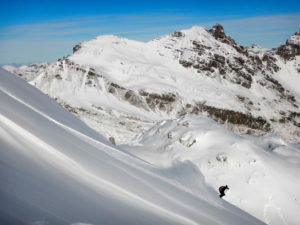 So start thinking about winter!! 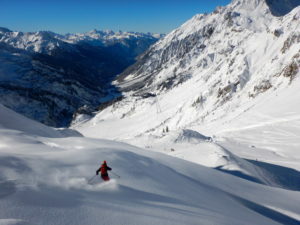 Available weeks at the chalet are filling up. Please make your reservation soon to ensure you get the week that you desire. All the best for a nice fall and looking forward to seeing you in the winter! 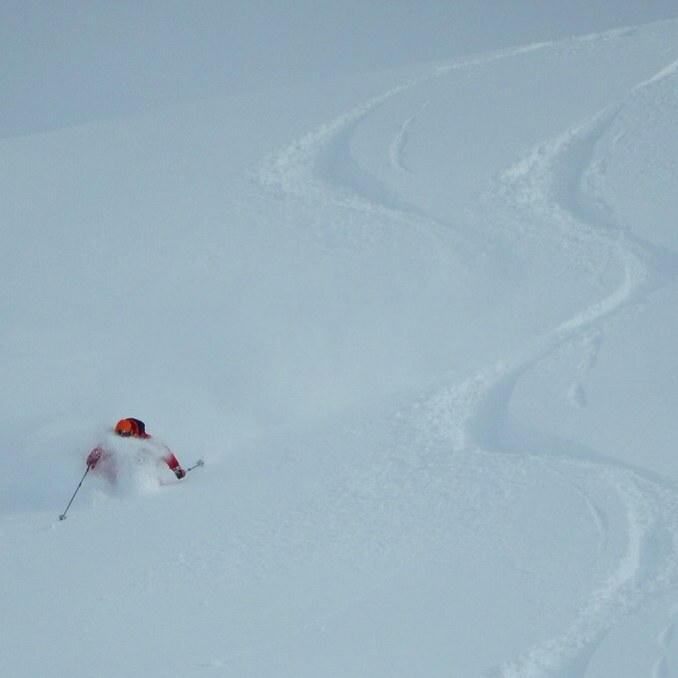 Powder skiing at its best down from Kapall. Chalet Rafalt is closed for another season. We wish you a pleasant summer and thank you for your patronage. Winter 16/17 awaits!! Please come visit the chalet and the Arlberg again!! 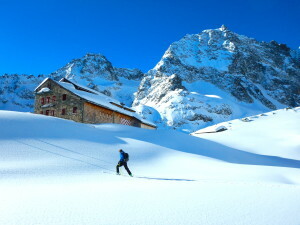 The beginning of March brought a significant amount of snow and some fantastic skiing with it. Since then, the weather has been nothing short of magnificent. 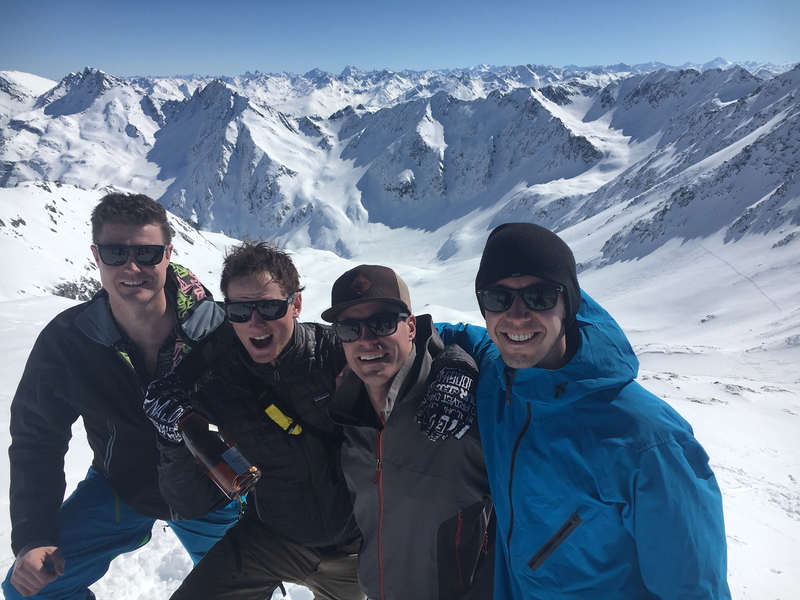 We have enjoyed loads of sunshine everyday, some warmer temperatures and stable snow which has allowed for touring enthusiasts to get out and amongst the big peaks and long runs! The snowpack itself is very healthy and the pistes are in great shape. For the first time since December 20th we have availability beginning next week on March 27th. If you are able to come on short notice, please get in touch! We wish you a pleasant start to the spring season! Here are a few pictures from the last few weeks. Incredible view over the Silveretta from the summit of Kaltenberg. Valley cloud and a very nice morning perch. High above the Malfon and ready for a sip of bubbles! Wonderful weather to enjoy apres outside at the KK, this time with Gunnar, who owned it for 35 years. Into the heart of the season we go! January brought plenty of fine skiing to the Arlberg. It snowed almost daily from the 3rd to the 21st and we had some of the best days I had seen in a while. 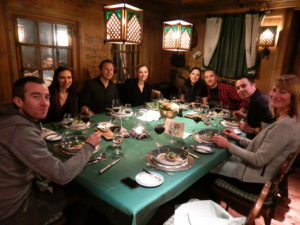 Visits from the McCaig’s, Andrew Field, Maaike’s sister and oldest friends and some of the original Montreal Canadian team made it an awesome month to be an inn keeper. 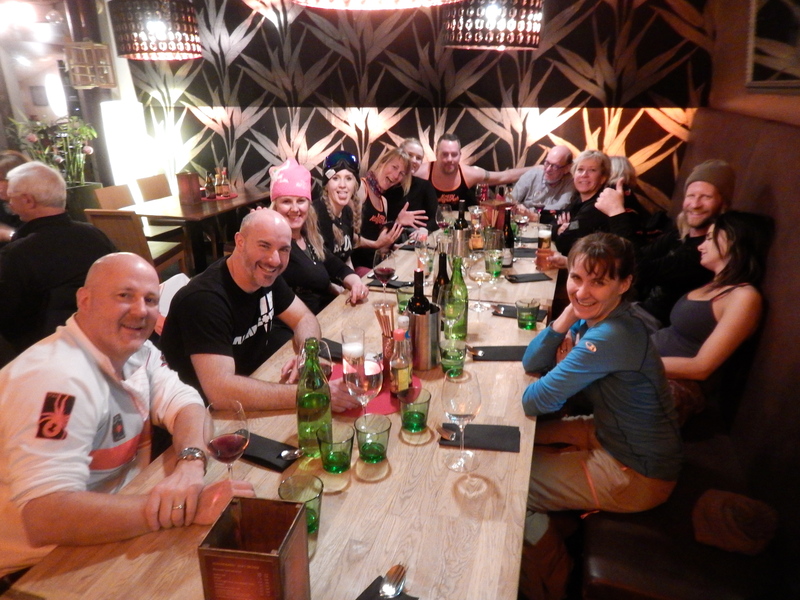 We love sharing turns, summits, great meals and fun parties with such fun loving, genuine people! We are headed into the heart of the season now and look forward to welcoming more great groups ahead. 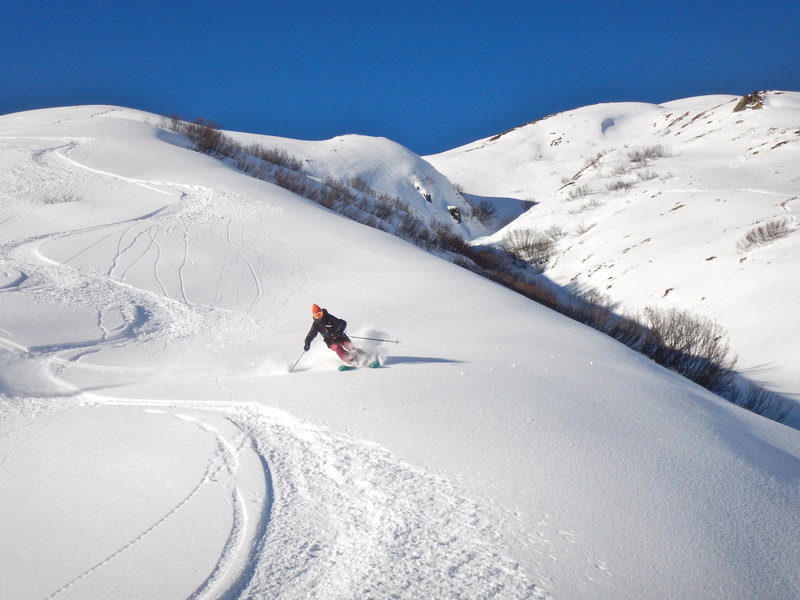 The snowpack is a solid 2 metres and all the fantastic slopes, both on and off piste are in good shape. We have two weeks left to fill towards the end of March, so please get in touch if you would like to make some memories here in St. Anton. I’ll leave this post with a few pics from this month. 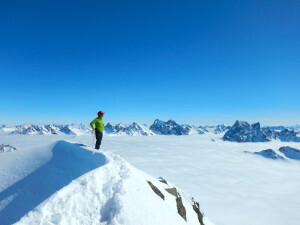 Ski touring with Andrew Field in the Moostal. 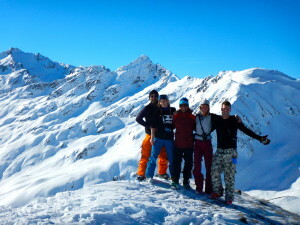 Summit of Kanodelkopf with Pierre, Martin-Luc and Shanie. 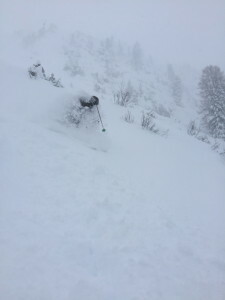 Winter has made a full on return to St. Anton and the conditions are improving everyday. The shift in the weather seems to be taking hold with snow forecast for the next week at least. Forecasters are using the word “Nordstau” in their posts which is music to any Arberg skier’s ears as this is where we get our big snow from. Our fingers and toes are crossed that it all comes to fruition. Until then, we will enjoy the centimetres that are on the ground! Faceshots are much more common since Jan 3!!! December felt like spring all across the Alps and St. Anton was no different. 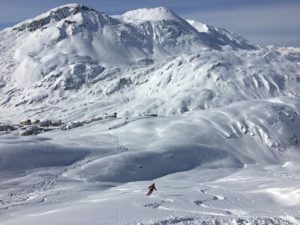 Thankfully, we had a few snowfalls in November that allowed most lifts to be open and lots of kilometres of piste to explore. The weather was gorgeous, with blue skies and amazing clear visibility which allowed vacations makers to soak up the beauty of the Arlberg. The new year celebration was fantastic as always, and the firework display did not disappoint. 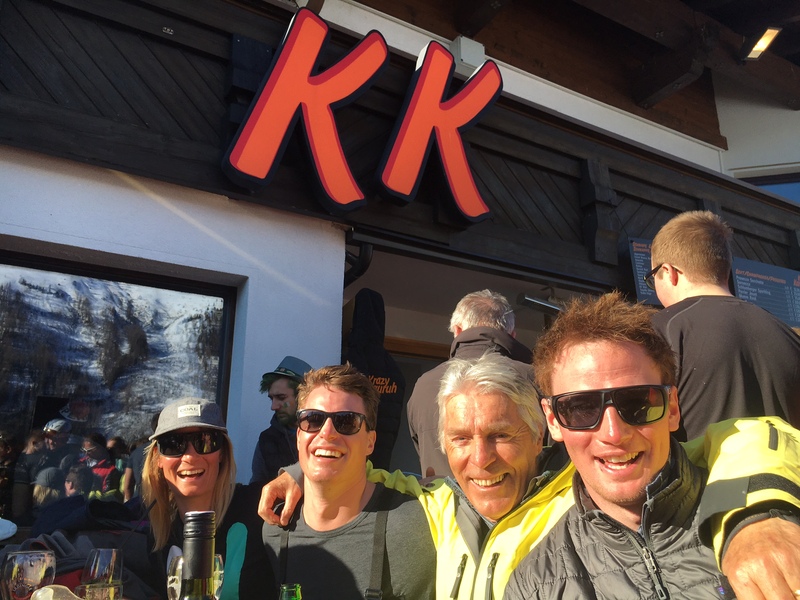 It was great to see the 1000’s of people making the most of toasting 2016! The new year has brought a change in the weather and we are there is snow falling again. 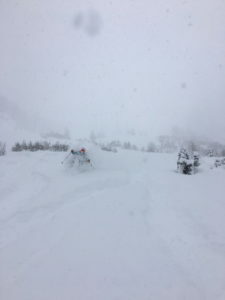 We have had about 40cm’s in the last few days with more on the way this week. It is a welcome change and we hope the pattern continues!!! Gorgeous clear skies that dominated for December.